Going plastic-free sounds a lot more challenging than it actually is. With a couple of great products, you can make a huge difference in lowering your toxic load, and helping out the environment in the process. 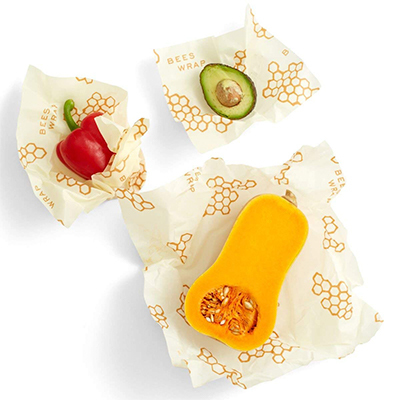 I started using bee’s wraps; a natural alternative to plastic wrap, in the summer of 2018 and I haven’t looked back since. 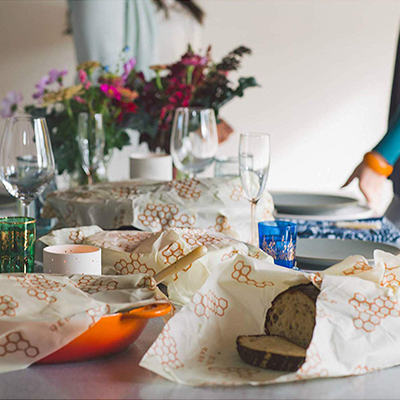 They’re toxin-free, made with organic cotton and bee’s wax, are washable, reusable, and completely biodegradable. 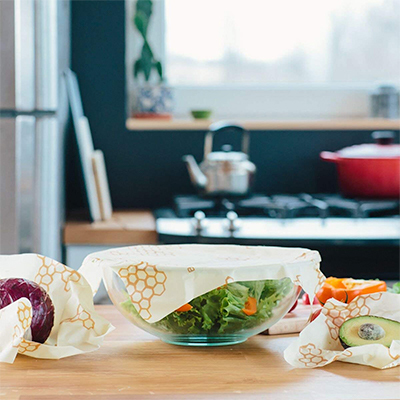 Just warm with your hands to create a seal over dishes and leftover foods. An awesome way to store your food naturally. They’re so, so great. And so many patterns to choose from.